A cancer patient is recovering after being operated on in two places at the same time by a robot during a rare procedure. Christine Lockton, 63, had a hysterectomy and part of her colon removed simultaneously in the operation which was a first for the Royal Marsden Hospital in London. Surgeons sat on opposite sides of the da Vinci Xi robotic console as they performed the procedures.The technology enabled them to see the affected area in close detail using 3D magnified images.The "arms" of the robot allowed the team to make tiny movements without the "all natural human tremor", while the hands can rotate 360 degrees. Surgeon Shahnawaz Rasheed, who led the operation with Marielle Nobbenhuis, said: "The precision of surgery, we think, is much higher. "Because of that, the impact on the patient should be less. "So we can do the same operation in terms of the removal of the cancer, but have less of a trauma to the patient. "Ms Lockton was diagnosed with colorectal cancer in September and had a course of chemotherapy and radiotherapy to treat a large tumour in her bowel.The NHS patient was able to return home just days after the procedure, which offered a less invasive option to open surgery. "I can't believe how quickly I have been able to come out of hospital and it's lovely to be home," she said. "I think the real healing will happen now. 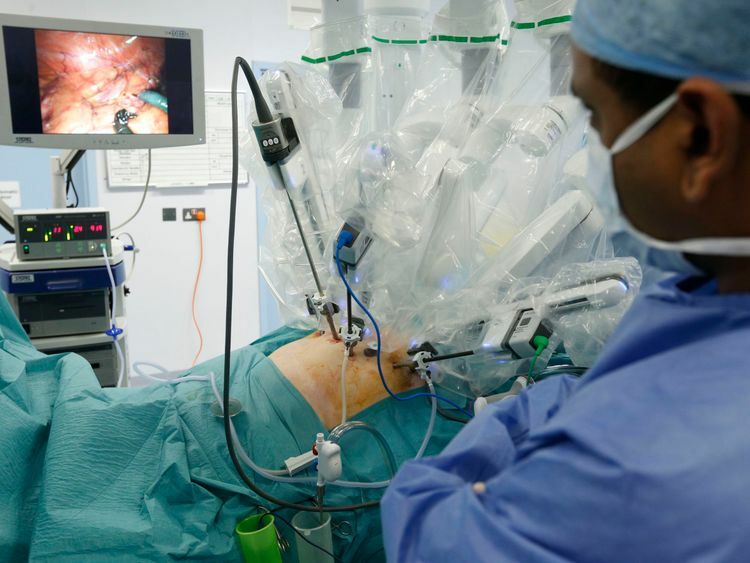 "The Royal Marsden Hospital has the largest programme of robotic surgery for cancer in the UK and the technology is particularly useful to access hard-to-reach tumours.